AC Contractors is a locally owned Noonday AC repair company that delivers exceptional service to our residential customers. We know that you count on your HVAC system to be efficient and reliable, but sometimes these systems have minds of their own. Rather than being left with no air on a hot day or no heat on a cool night, call AC Contractors at the first sign of trouble. We can fix things right away and prevent a complete breakdown. AC Contractors is a full-service heating and cooling contractor. We can manage your entire HVAC system for the best performance. The services we offer include service checks, repairs and installations. Our qualified technicians are also happy to help you reduce your energy bills through a cost-benefits analysis and improve indoor air quality for better health. The locals love us! The feeling is mutual, of course. Here are some of the reasons why homeowners and landlords put their trust in us for Noonday AC repair. 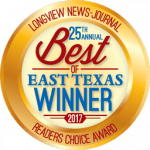 When you call us out for AC repair in Noonday TX, you can expect a highly qualified technician to come to your home. A full assessment will be done on your unit to determine what is wrong and the extent of the damage. Our techs arrive with fully stocked trucks, so most common problems can be fixed on the spot. As long as the Noonday heating and cooling repair is practical and economical, we will go this route. If your system is old and no longer efficient, we will recommend a new installation. We have a large selection of makes and models of AC units to choose from. With state and federal rebates as well as the ability to increase efficiency and lower your utility bills, a new installation will save you money in the long run. Schedule your appointment for Noonday AC repair with AC Contractors. You’re in good hands with us!